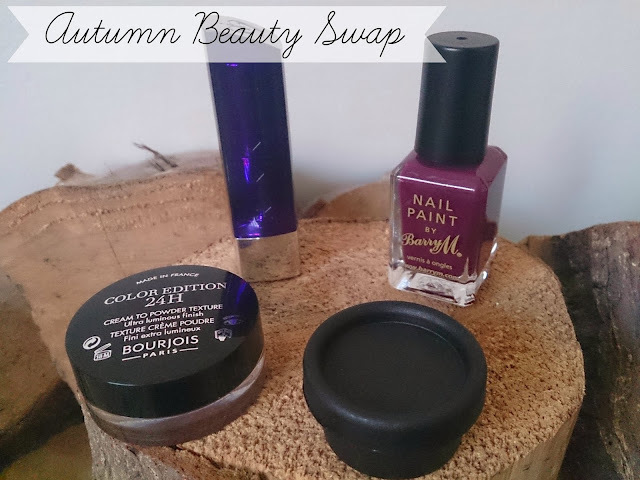 Way back in September, the wonderful Kat over at Tales of a Pale Face organised a bloggers Autumn Beauty Swap and I couldn’t resist taking part. After seeing the success of the Summer Swap organised by Kat I was excited to find I was paired with the lovely Albertine from Dippy Writes, a gorgeous beauty blogger I already followed and admired reading posts from. After exchanging emails with Albertine we decided to set a budget of £15.00 and gave little clues as to what colours we like, what to avoid, etc. I got shopping right away, hunting for bargains and looking for the perfect samples so I could pop something extra in her little parcel! I sent mine off down to Exeter and was delighted that Albertine loved the products I picked out for her. You can see what I chose for her here. The first thing that caught my eye was this little black pot filled with green stuff! 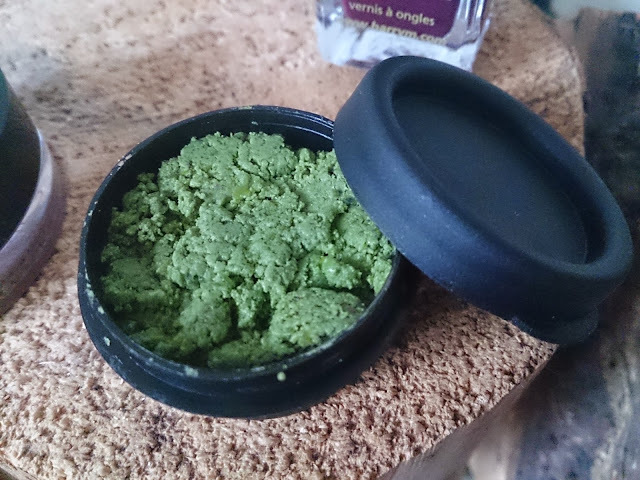 It’s a sample of Herbalism from Lush. Herbalism is a solid cleanser for troubled skin, it gently exfoliates and removes excess grease and oil. I’m really looking forward to trying this sample as I suffer from combination/oily spot prone skin. 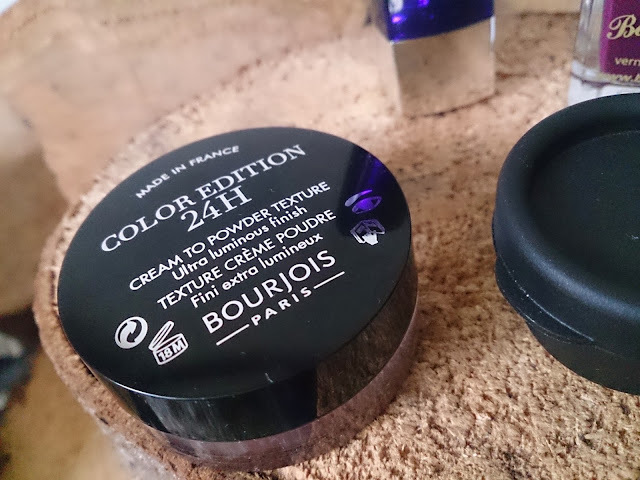 The second thing that caught my eye is this cream to powder eyeshadow, Bourjois Color Edition 24h in shade Petale de Glace. I usually go bare eyed other than a bit of eyeliner as I don’t feel confident with full on in-your-face smoky eyes. 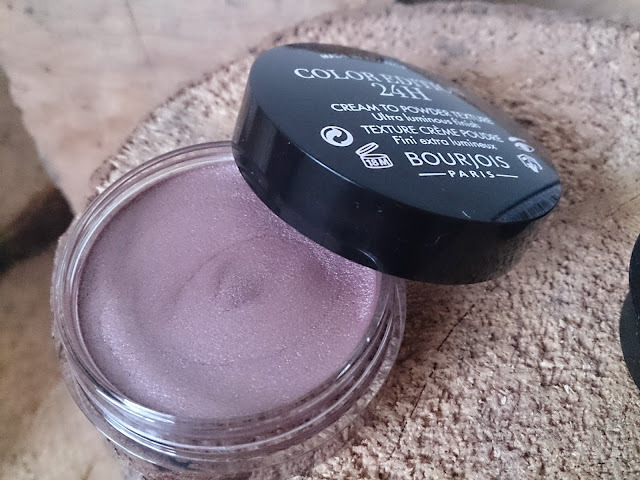 This shade is gorgeous, luminous yet buildable to my desire, it would suit the fast approaching party season so I’m looking forward to wearing it! 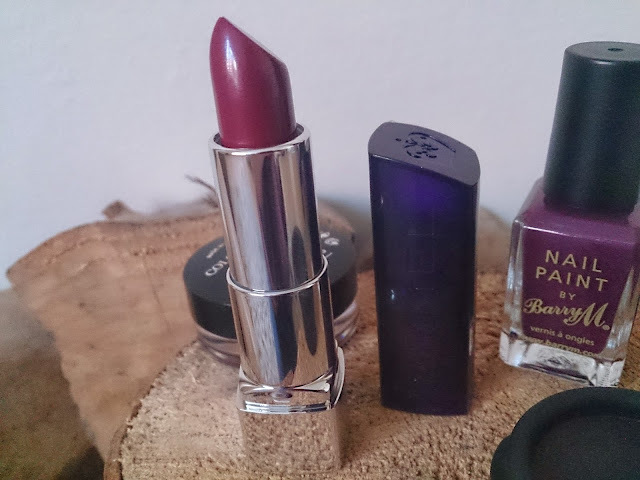 Next is this absolutely gorgeous lipstick; Rimmel Moisture Renew in shade Glam Plum Fulham. I am all about gorgeous berry shades in Autumn/Winter and boy, does this look perfect! I’ve heard some good things about the Moisture Renew range so I’m looking forward to giving my verdict on this berry beauty! And finally a gorgeous berry nail polish from Barry M in shade Berry Cosmo, perfect for Autumn/Winter. I don’t have any deep purple glossy shades so I’m really happy with this and can’t wait to wear it over the weekend. I am over the moon with the products Albertine chose for me and I can’t wait to share my opinions on these products with you! I hope Kat does another beauty swap in the new year as I really enjoyed taking part and would love to again!  Previous Post Wednesday Wishlist | Black Boots!